Federico graduated with Honours in 2002 from the University of Bologna, where he also received his postgraduate Endodontic training. He accomplished a PhD in Endodontic Microbiology in collaboration with the Forsyth Institute. In 2009 he moved to the UK, after being appointed Lecturer in Endodontology at King’s College London. He subsequently completed a five years restorative training. He maintained a constant referral based practice in Endodontics. He is involved in undergraduate and postgraduate teaching. He is part time Consultant in Endodontics and program director of the MSc in Endodontics at Guy’s Hospital King’s College Dental Institute. 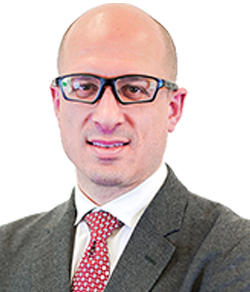 Federico is registered Endodontic Specialist with the GDC and he is a member of the British Endodontic Society. He is happy to assess and treat referrals for all aspects of Endodontics, including primary and secondary treatment and apical surgery. Federico lives in South-West London with his wife, son and daughter and he enjoys cycling in his spare time.